When people are asked to recall some of their favorite 16-bit RPGs, very often Chrono Trigger is mentioned alongside classics like Final Fantasy II & III or Phantasy Star II. Since its release, many other companies have tried to replicate the time travel experience featured in Chrono Trigger, but more times than not they come up short. That’s usually because they lack the spectacular characters and gripping story that made that game an instant classic. One game that came close to replicating the experience was Radiant Historia on the Nintendo DS. Unfortunately many people skipped over that release, but now they can make up for their mistake thanks to Atlus bringing an enhanced version to the Nintendo 3DS. Whether you’ve played the original or not, Radiant Historia: Perfect Chronology is worth a look. The game starts off with a world in crisis. The land of Vainqueur has been riddled with desertification, wiping out vast swaths of inhabitable areas. Crops are dying and nations are going to war to fight over precious resources. The kingdoms of Alistel and Granorg are in the midst of battling it out over land disputes, and that’s where the game’s plot launches forth. You play as Stocke, a fighter working for the Special Intelligence under Heiss. You go on secret missions to thwart the enemies of the kingdom. At the beginning of your adventure you are paired up with a couple other fighters and must work to gain intelligence to put a stop to the enemies’ plans for attack. Pretty quickly things take a left turn when Stocke comes across the White Chronicle, a magical book that grants him the ability to travel through time. The timeline is displayed with special nodes indicating where he can travel back or forward to in order to make different decisions. Many times it’s worth your time to explore all possibilities and see how the story unfolds. As a kid growing up I loved reading those Choose Your Own Adventure books, and in many ways this game plays the same part. There is a true history to discover, so don’t worry if you pick the wrong timeline, it will eventually reach a dead end and you’ll go back and pick the right one. In essence the story is linear like most other JRPGs, but you get to experience two variations of events and it’s fascinating to see how each is resolved. So, what’s new for this enhanced edition of the game? Probably the biggest addition is a third timeline that can be unlocked via a new character named Nemesia. This adds brand new content and story for those that might have already played the original. It does a fantastic job weaving in some new and exciting quests and fans are sure to appreciate the new perspective. If you’re a purist you can still play the original without the additional content, although I’m not sure many would want to do that. The presentation has been upgraded as well with a brand new animated cinema at the beginning of the game. Character portraits have been updated and the overall graphics have received a nice update as well. The game was already great looking on the DS, so I was a bit surprised to see this one didn’t at least add in stereoscopic 3D. It seems like so many games these days don’t utilize one of the hallmark features of the 3DS, and it’s unfortunate that the game doesn’t take full advantage of the power of the system. Still, I think the game looks fine, although the combat screen is a bit lackluster with small sprites and little to no special effects for that wow factor. The music is fantastic as always and there are a few new tracks sprinkled in. Voice acting is one big new addition and it’s very welcomed. Atlus is one of the few companies that are big on delivering quality voices on the 3DS and it’s very appreciated. Like many JRPGs out there, the two main things you’ll be doing is interacting with other characters to progress the plot and fighting monsters. The story is genuinely interesting and there are some plot twists to keep you on your toes. The combat is a bit lacking, but I give it credit for implementing some unique mechanics. Much like the Final Fantasy game of yore, the heroes are on the right side of the screen and the enemies on the left. The enemies reside in a 3×3 grid and are placed in one of the nine squares. Your allies will have special moves that will allow them to push or pull an enemy. The closer the monsters are to your party members, the more damage they’ll deal so it’s advantageous to push them back. Part of the battle strategy revolves around arranging the enemies into a single square so that when attacked every adversary is attacked at once. This adds a strategic element into combat system that is appreciated, but ultimately not all that exciting. The battle system also shows the order of combat and you can move that around as well. This can allow for more combos and better strategies, but by changing the order you leave yourself open to attack with lowered defensive capabilities. Those that have played the original game will be right at home with the fighting, and newcomers should catch on very quickly. Most fights are often over with rather quickly, but they lack the flash and spectacle that many other RPGs have. I can’t help but feel like this part of the game is straight out of the ‘90s, but that’s not necessarily a bad thing as long as you’re not expecting something revolutionary in that regard. As with most RPGs, story is of the utmost importance and here Radiant Historia: Perfect Chronology delivers. The characters are charming and the plot keeps on chugging along. I’d have liked a little more exploration in the game and I appreciate a well-thought out overworld to explore, of which there isn’t one here – simply a map to select where to go next. Still, it says a lot that I liked the game as much as I did despite these minor quibbles. The 3DS continues to rock the JRPG genre and it’s the best system to own for these types of games. If you haven’t played the original this one is a no-brainer. If you’ve played through the DS game to completion, I’d say this is only worth a double dip if you absolutely loved the original and don’t mind playing through mostly the same content again. If you do pick this one up, it should keep you busy for quite some time! 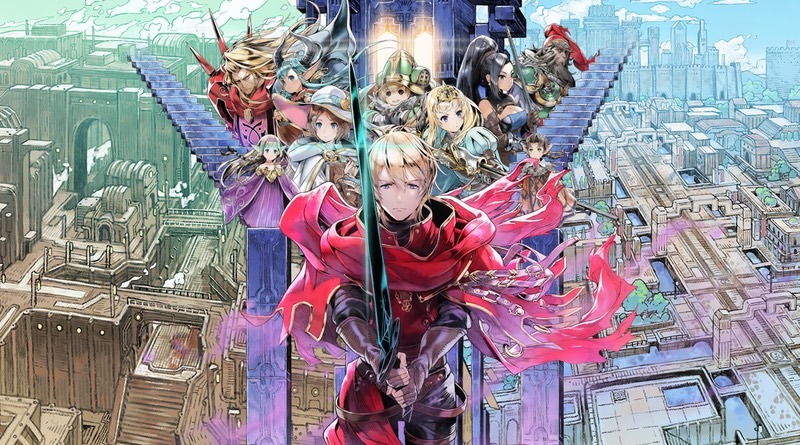 Radiant Historia: Perfect Chronology is a great JRPG featuring a time travelling plot that is exciting to unravel. Although unique, the combat system is a bit boring, but the presentation and charming characters prop up the game. This is yet another fun RPG on the 3DS and one that’s well worth your time. Radiant Historia: Perfect Chronology was reviewed using a final retail Nintendo 3DS download code provided by the publisher.